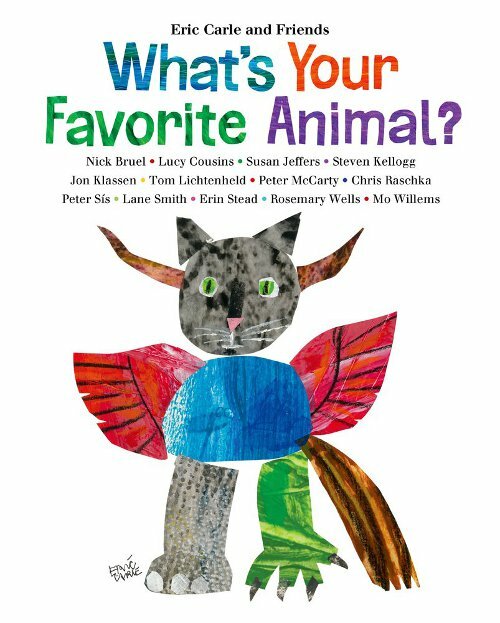 There’s a new “Eric Carle and Friends” book on shelves, and it’s called What’s Your Favorite Animal? (Henry Holt, January 2014). 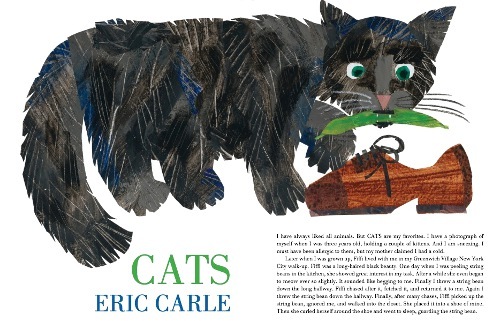 “Eric Carle and Friends” means that all the royalties from this book will go to the Eric Carle Museum of Picture Book Art (also known in Jules’ world as My Dream Job). This book is simply fun—Eric Carle asked thirteen illustrators to weigh in on their favorite animal with an illustration and some thoughts—and it’d be a wonderful writing prompt in an elementary classroom or library. 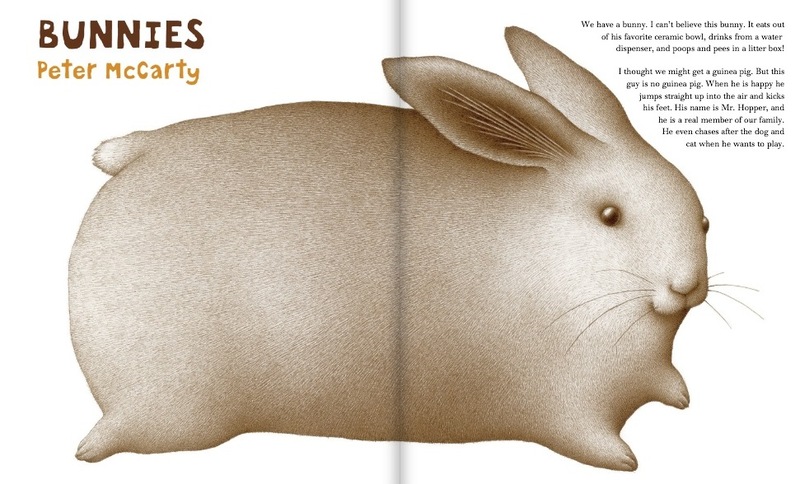 No overriding narrative here — merely spread after spread of entertaining illustrations and thoughts on favorite animals from the likes of Erin Stead, Lane Smith, Mo Willems, Nick Bruel, Carle himself, and more. My favorite spread, which is from Chris Raschka, is pictured above. And I’ve got several more below. I’m working hard on my own writing deadline this month, but I had to take a break to share some of these — especially while we picture book enthusiasts (I speak here for myself and my Imp readers) wait on the Caldecott announcement (coming on January 27!) and while we wait on other 2014 picture book titles to start pouring in. Enjoy the art. Oh, and there’s more about the book here at the Carle site. 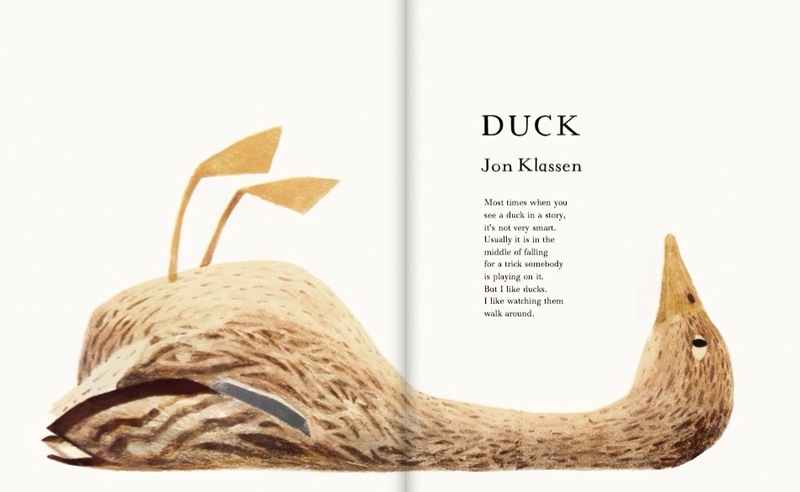 Jon Klassen: “Most times when you see a duck in a story, it’s not very smart. Usually it is in the middle of falling for a trick somebody is playing on it. 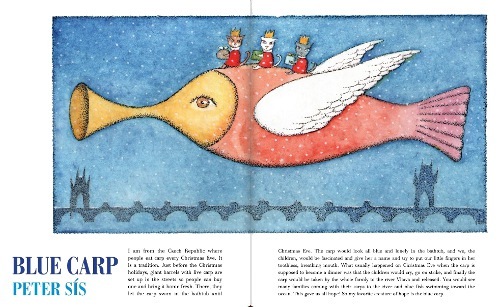 All art here is used with permission of Henry Holt and Company, New York. love this Jules! Thanks for sharing. 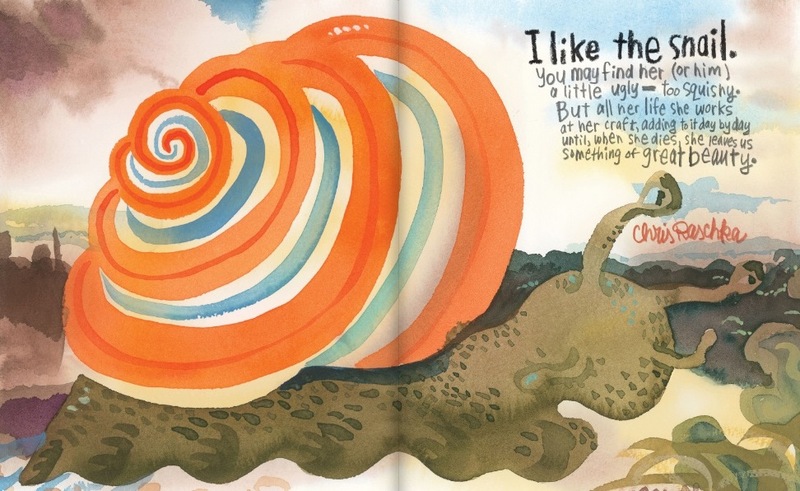 Everything about that Peter Sis spread is amazing. Wow.